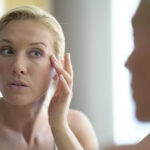 What Is the Difference Between a Facelift and a Browlift? How Can I Reduce Sagging Skin On My Stomach? When should I have breast lift surgery? Breast lift vs Breast Augmentation: How Do I Know Which Procedure I Need? What is Breast Augmentation Mastopexy (BAM)?